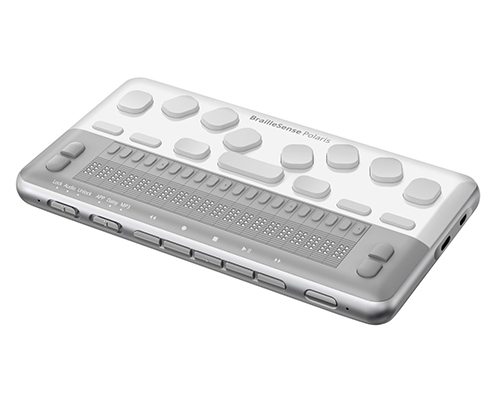 BrailleSense Polaris MINI offers a new standard in blind-friendly applications with the latest in cutting edge technology. 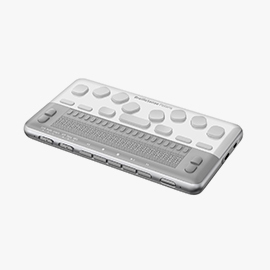 We’ve kept the traditional computer interface that has contributed to the popularity of other BrailleSense models. 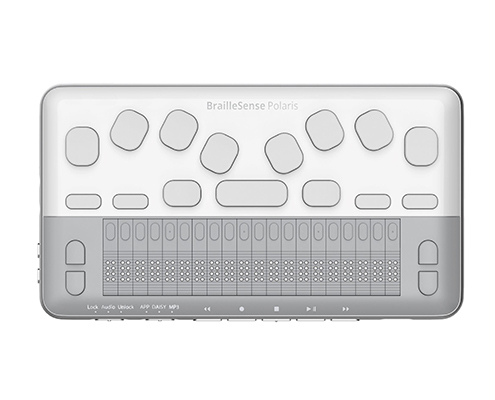 BrailleSense Polaris MINI supports Google Apps, making it easy to utilize Google services like Drive, Docs, Sheets, and Slides as millions of other students do every day. 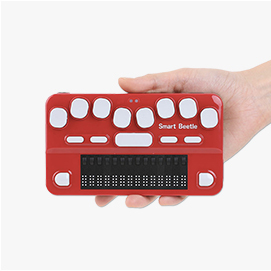 check out our BrailleSense Polaris MINI Trade-In Offers! 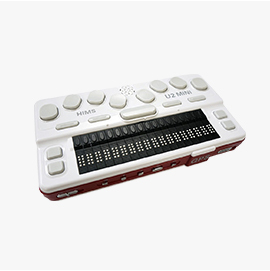 What is BrailleSense Polaris Mini? 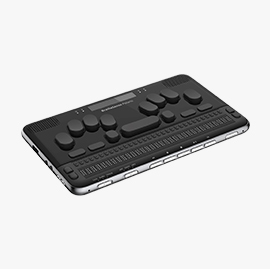 Polaris Mini is an innovative collaboration of Braille and mainstream technology, offering the blind and visually impaired unprecedented accessible and intuitive productivity in today’s tablet-based world. 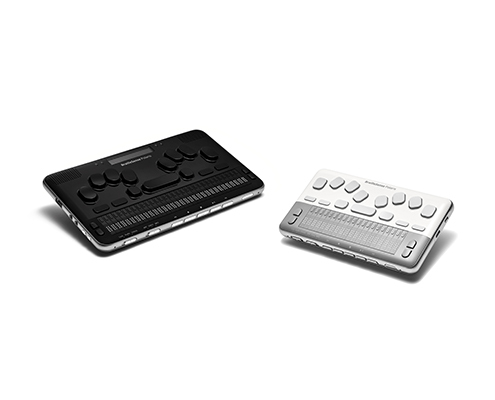 With a 20-cell Braille display and a 11-key Perkins-style keyboard with Ctrl and Alt Keys, Polaris Mini looks and feels like a traditional notetaker. 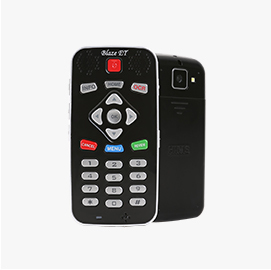 However, its competitive modern hardware and connectivity, along with direct access to Android applications, ensure it stacks up solidly against modern off-the-shelf phones and tablets. 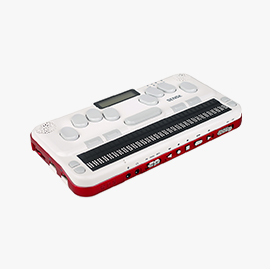 Customized for the blind, and compatible with the mainstream, Polaris Mini seamlessly combines accessibility and autonomy. 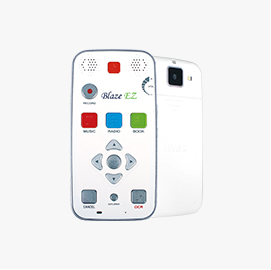 Customize your Polaris Mini with the apps that fit your lifestyle, and ensure connectivity with colleagues, friends and family using the same apps. 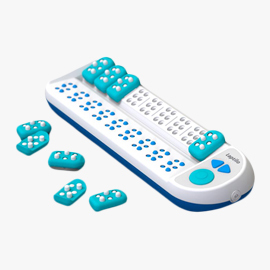 The possibilities are endless, make it yours! 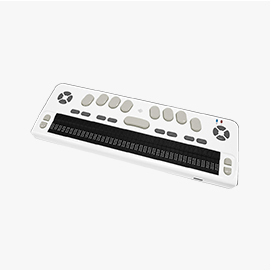 With thousands of accessible apps to choose from, Polaris Mini can be what you need it to be. 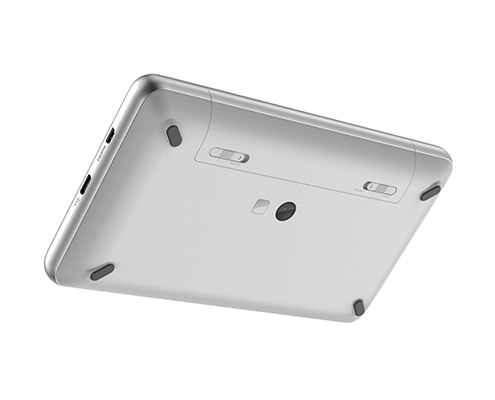 As Android continues to grow, Polaris Mini will grow with it, ensuring you will always stay contemporary. 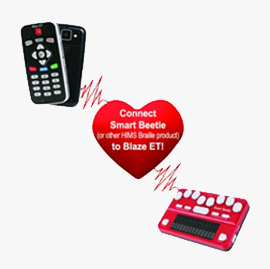 Wi-fi 802.11AC dual band, Bluetooth 4.2, USB 3.0 and micro HDMI. 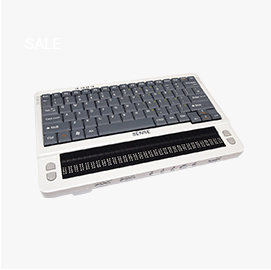 In addition to a traditional 9 key Perkins Braille keyboard and function keys, Polaris Mini offers special touch enabled function keys for quickly performing common operations, like copying and pasting in the Word Processor, or switching tracks in the Media Player. Conveniently charge Polaris Mini via a USB-C cable. 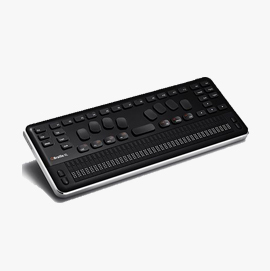 Polaris Mini provides visual output via HDMI display, screen sharing apps, or via Miracast.